These old style doors and smokey transparent acrylic lid get updated. 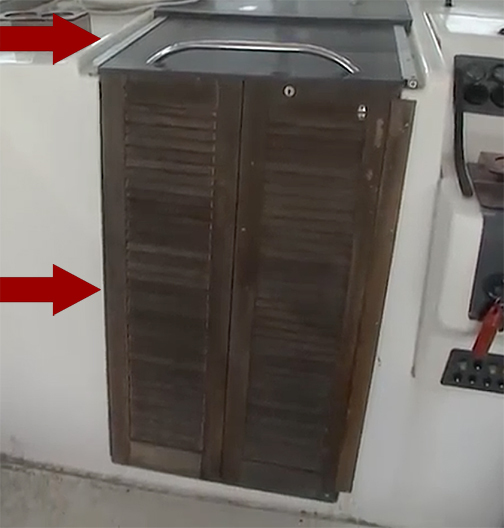 This how-to video clip from Ship Shape TV provides tips on updating or replacing the companionway in an older boat. From redoing the glide rails, to replacing the doors, to selecting the best materials and hardware, this video provides helpful insights. Older lids were transparent to let light through but did not provide privacy. 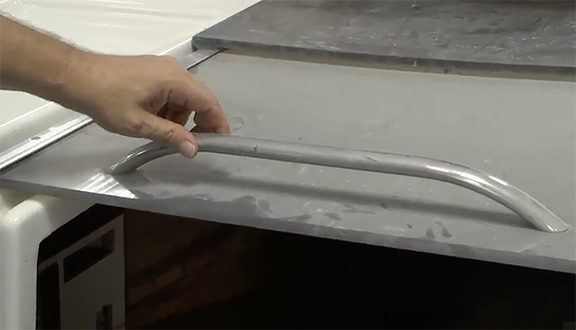 The video below shows what to do with the old companion lid glide rails, hardware and how to select more durable and practical companionway materials for your boat.